If youre planning to build that dream beach house along the East Coast of the United States, or would like to relocate to the Caribbean, a new study by economists and climate scientists suggests you may want to reconsider. Researchers from MIT and Yale University have found that coastal regions of North America and the Caribbean, as well as East Asia, are most at risk for hurricane damage  a finding that may not surprise residents of such hurricane-prone communities. However, the researchers say by the year 2100, two factors could more than quadruple the economic damages caused by tropical storms in such regions and around the world: growing income and global warming. In a paper published this week in Nature Climate Change, researchers developed a model to predict hurricanes around the world, looking at how hurricane activity might change in the next 100 years both with and without climate change. Even in a world without climate change, where rates of greenhouse gas emissions remain stable, the researchers found that annual economic damages from hurricanes could double in the next century: Global population is expected to reach 9 billion by 2100, likely leading to more development along hurricane-prone coastlines. Given such growth, the researchers projected that worldwide annual damage from hurricanes  currently $26 billion  could increase to $56 billion in the next century. Under a similar economic scenario, but with the added factor of climate change, the team found that annual hurricane damage could quadruple to $109 billion by 2100. 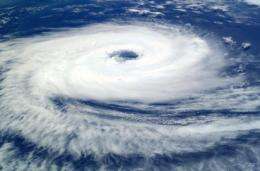 According to the researchers model, proliferating greenhouse gases would likely increase the incidence of severe tropical cyclones and hurricanes, which would increase storm-related damage. Furthermore, the researchers found that the distribution of damage is not even across the world. Their model indicates that climate change would cause the most hurricane-related damage in North America, followed by East Asia, Central America and the Caribbean. The rest of the world  particularly the Middle East, Europe and South America  would remain relatively unscathed, experiencing little to no hurricane activity. Kerry Emanuel, the Cecil and Ida Green Professor of Atmospheric Science at MIT, says results from the model developed by the team may have wide-ranging implications for regional planning and emergency preparedness. After sorting out semantics, the group set out to predict tropical cyclone and hurricane activity around the world. The researchers relied on four existing climate models commonly used by the Intergovernmental Panel on Climate Change to assess climate risks. Each of the models track and forecast certain climate variables such as wind, temperature, large-scale ocean currents and ocean temperatures. However, the models only track these variables at a relatively coarse resolution of 100 to 200 kilometers. Since a tropical cyclone that may whip into a massive hurricane under certain weather conditions requires resolutions of a few kilometers, using climate models to simulate storms is highly problematic. Instead, Emanuel and his colleagues embedded a tropical-cyclone model within each climate model. The combination allowed the team to see where storms may develop around the world, based on regional weather systems. The researchers randomly scattered hundreds of thousands of seeds, or potential tropical cyclones, throughout each of the four models, then ran the models to see where the seeds developed into significant storms. There was some variation between models, but in general, they revealed that 95 percent of storms simply dissipate, leaving 5 percent that were likely to turn into hurricanes under favorable conditions such as warm ocean water and high winds. They used enough seeds to generate 17,000 surviving storms in each simulation. The team also looked at each countrys hurricane-related damage after adjusting for its gross domestic product (GDP). The researchers found that wealthier nations like the United States are able to absorb economic losses from a hurricane better than many others, such as island nations in the Caribbean. Dan Osgood, a lead scientist in the financial instruments sector team for the Earth Institute at Columbia University, sees the new model as a useful tool, particularly for the insurance industry. The researchers stress that there was a fair amount of uncertainty in predictions made among the four climate models. For example, in estimating the effect of climate change on tropical-cyclone damage, the models predictions ranged from $14 billion to $80 billion a year. Emanuel also points out that looking at natural disasters strictly through an economic lens doesnt tell you the whole story. For example, despite a growing economy and population, if severe tropical cyclones become more frequent, people may choose to build elsewhere  a phenomenon Emanuel says an improved model will have to take into account. Other authors on the paper are Robert Mendelsohn, Shun Chonabayashi and Laura Bakkensen from the Yale School of Forestry and Environmental Studies. What a horrible article and report. This link was from just over a month ago. MIT and Yale should be ashamed of using their good names and attaching it to an obviously slanted report like this. Population increases along coastlines... yup, we knew that. Now insurance companies will drive up prices (for all of us, whether coastal or not) while siting this report. Thanks! Creating models is a type of research, but the assumptions in the model determine the outcome. For normal research, factors are not assumed, they are controlled, and their effects are discussed. So far, hurricane predictions from models have been an epic fail. In fact, all predictions of all types of dire consequences have been wrong, so far. And with temperatures flat to declining since 1998, it is hard to see how assumptions of more warming will be fulfilled, much less cause more damage. A testable hypothesis - NEVER before have the hurricane/cyclone activities been as bad as CURRENTLY(this year, etc)! Since the CO2 levels (as well as other greenhouse gasses) as the highest EVER, then the weather-related changes have GOT to be the WORST.....EVER! Every time we have a storm, we are shown the 'spaghetti' graphs, showing a dozen or so different projected paths, which were produced by a dozen or so different models. Usually NONE of them are correct for more than a day or two. These are the same type models used to predict the weather for the remainder of this century and presumably are just as accurate. When and if they begin to project a future which can be and is observed to be correct, then I will take them seriously.